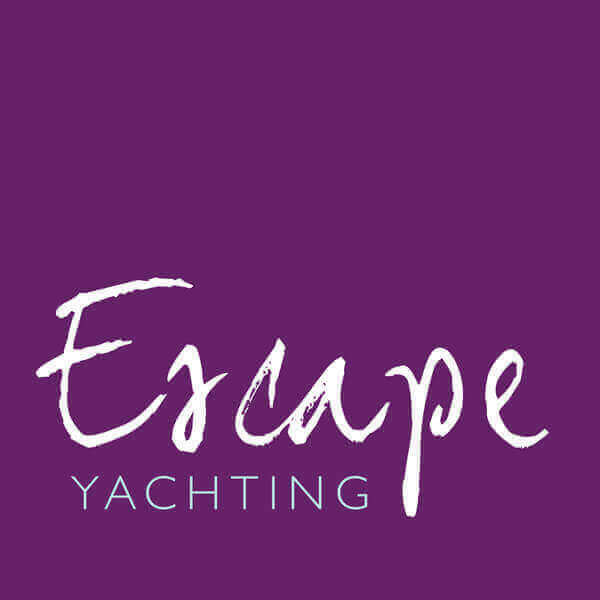 Escape Yachting Limited respects your privacy and is determined to protect your personal data. The purpose of this privacy notice is to inform you as to how we look after your personal data when you visit our website (regardless of where you visit it from). We’ll also tell you about your privacy rights and how the data protection law protects you. This privacy notice aims to give you information on how we collect and process your personal data through your use of this website, including any data you may provide through this website when you sign up to our newsletter, purchase a product or make an enquiry. Escape Yachting Limited is the controller and responsible for your personal data (collectively referred to as Escape Yachting, “we”, “us” or “our” in this privacy notice). Our postal contact details are: Clifton House, 10 Poole Hill, Bournemouth, BH2 5PS. Our email address is info@escapeyachting.com. For all data matters contact David Ellis on info@escapeyachting.com. Identity Data includes: First Name, Surname and Date of Birth. Contact Data includes: Postal Address, Email Address and Telephone Number. Financial Data (if making a purchase) includes: Method of Payment and Date of Payment. Transaction Data (if making a purchase) includes: Services Purchased from us. We also collect, use and share Aggregated Data such as statistical or demographic data for any purpose. Aggregated Data may be derived from your personal data but is not considered personal data in law as this data does not directly or indirectly reveal your identity. For example, we may aggregate your Usage Data to calculate the percentage of users accessing a specific website feature. However, if we combine or connect Aggregated Data with your personal data so that it can directly or indirectly identify you, we treat the combined data as personal data, which will be used in accordance with this privacy notice. Legitimate Interest this means the interest of our business in conducting and managing our business to enable us to give you the best service/product and the most secure experience. We make sure we consider and balance any potential impact on you (both positive and negative) and your rights before we process your personal data for our legitimate interests. We do not use your personal data for activities where our interests are overridden by the impact on you (unless we have your consent or are otherwise required or permitted to by law). You can obtain further information about how we assess our legitimate interests against any potential impact on you in respect of specific activities by emailing David Ellis. Generally we do not rely on consent as a legal basis for processing your personal data other than in relation to sending some direct marketing communications to you via email or text message. You have the right to withdraw consent to marketing at any time by contacting us at info@escapeyachitng.com. Note that we may process your personal data for more than one lawful ground depending on the specific purpose for which we are using your data. Please contact us at info@escapeyachitng.com if you need details about the specific legal ground we are relying on to process your personal data where more than one ground has been set out in the table below. We may use your Identity, Contact and Transaction Data to form a view on what we think you may want or need, or what may be of interest to you. This is how we decide which products, services and offers may be relevant for you. Our newsletter is our main form of marketing and is sent on average once a month. You will also receive our marketing communications if you have consented to receive our newsletter on our website or when entering a competition we have run. We do not share your personal data with any company outside Escape Yachting for marketing purposes. You can ask us to stop sending you marketing messages at any time by following the opt-out links on any marketing message sent to you or by emailing info@escapeyachting.com at any time. AdobeSign acting as processers based in the United States who facilitate the signing of a booking form when you make a booking and securely store this form. PayPal acting as processors based in the United States who facilitate our card payments if you choose this method to pay. Xero acting as processors based in the United States who facilitate our online bookkeeping. MailChimp acting a Joint Controllers based in the United States storing our mailing list and sending our Newsletter. Professional advisers acting as joint controllers including lawyers, bankers, auditors and insurers based the United Kingdom who provide banking, legal, insurance and accounting services. Whenever we transfer your personal data out of the EEA, we ensure a similar degree of protection is afforded to it by implementing safeguards and reviewing the security, procedures and policies in place. We obtain confirmation that all of these parties confirm to GDPR regulations. Please contact us at info@escapeyachting.com if you want further information on the specific mechanism used by us when transferring your personal data out of the EEA. Details of retention periods for different aspects of your personal data are [available in our retention policy, which you can request from us by emailing info@escapeyachting.com. This version was last updated on 11 May 2018 and historic versions can be obtained by contacting us. To exercise all relevant rights, queries or complaints in relation to this policy or any other data protection matter between you and us, please in the first instance contact David Ellis at info@escapeyachting.com.